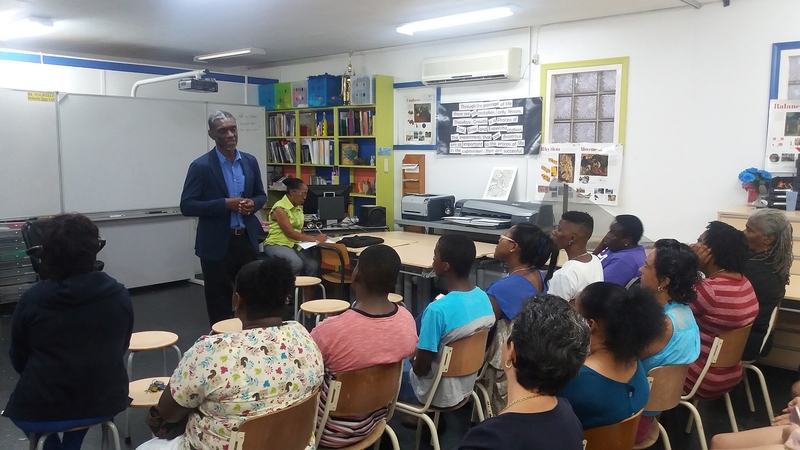 Registrar Glenroy Cumberbatch of the examination Council of the CXC (Caribbean Examinations Council) visited St. Eustatius and Saba last week . Registrar Glenroy Cumberbatch of the examination Council of the CXC (Caribbean Examinations Council) visited St. Eustatius and Saba last week. Purpose of this visit was, after two years of work on the introduction of the CXC system, to gauge how far the Islands are with the introduction of this education and examination system. He also talked with those involved in the educational field about their experiences with the introduction of the CXC system. The CXC system is deemed better fitting for education in St. Eustatius, compared to the Dutch-modeled educational systems.